SCVHistory.com DI2901 | Ridge Route | Tourist Stops at Hotel Lebec, 7-30-1929. July 30, 1929 — Tourist stops at Hotel Lebec on the Ridge Route. Photograph from an anonymous photo album purchased at a flea market by Sharon Divis. 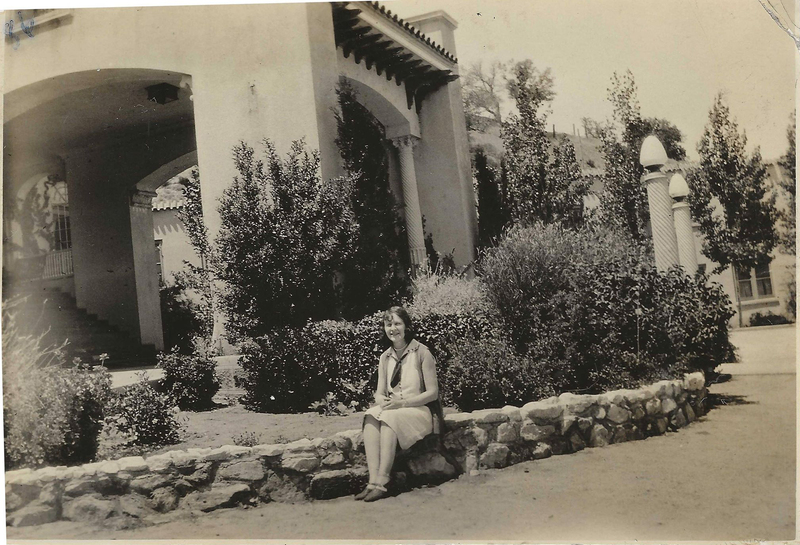 A group of five or six young women traveled extensively throughout California and photographed themselves in front of popular locations. The one place they stopped in the greater Santa Clarita Valley (or at least the one they photographed) was the Hotel Lebec. Written on album page below the photograph: "La Bec on Ridge Route, July 30, 1929." 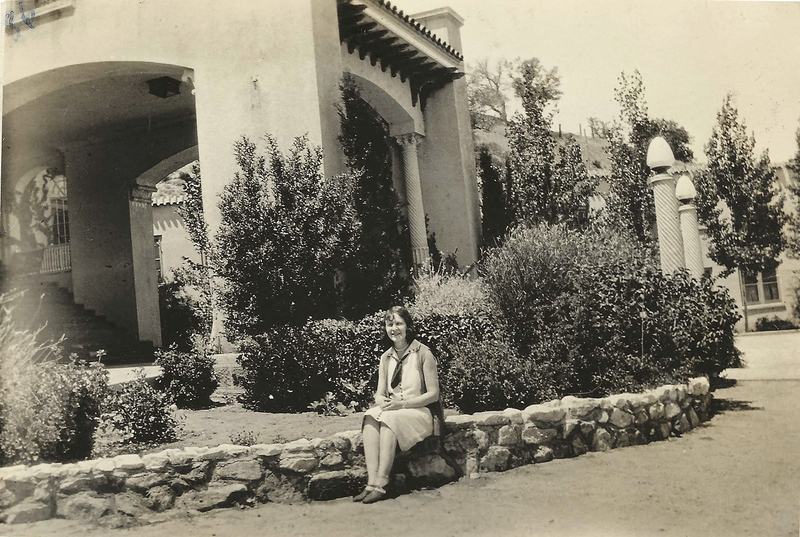 The name of the person in the photograph is probably Mildred Haderman. The number 86 at upper left indicates the 86th page in the album. DI2901: 9600 dpi jpeg from original photograph courtesy of Sharon Divis; online only.